Tigsa is a manufacturer of equipment for the automation of all types of livestock farming industry. With over 40 years experience in the market we respond to the needs of farmers lthat are looking for a good equipment for automatic feeding their farms. Tigsa is mainly characterized by first-class products. We provide a wide range that meets the highest quality standards. Trust our accredited manufacturing processes. We will suggest the most suitable product for you. 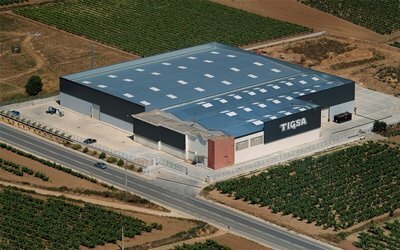 Tigsa bases its business competitiveness in a global concept of both product quality and process management. Quality is the differentiating factorthat distinguishes our products and services in the market. It is the key of the standard of excellence that we impose both in external and internal relations. The overall concept of quality is a process implemented progressively in all activities of the company is defined as the objective to be achieved throughout the organization. 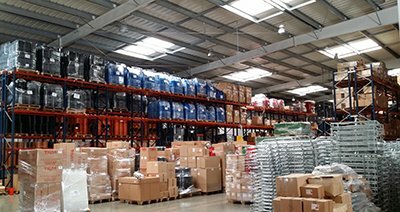 We have an advanced logistics system that enables us to deliver orders in very short time. Take advantage of our extensive experience and our professionality at work. Let yourself be convinced by a committed team and an exclusive offer.